ROME — Instead of “pretending to be adolescents,” parents must help young people see the blessing of growing into adulthood, Pope Francis told priests, religious, catechists and parish council members from the Diocese of Rome. The belief that youthfulness is a model of success “is one of the most dangerous ‘unwitting’ menaces in the education of our adolescents” that hinders their personal growth because “adults have taken their place,” the pope said June 19, opening the Rome Diocese’s annual convention. This “can increase a natural tendency young people have to isolate themselves or to curb their process of growth” because they have no role models, the pope said. 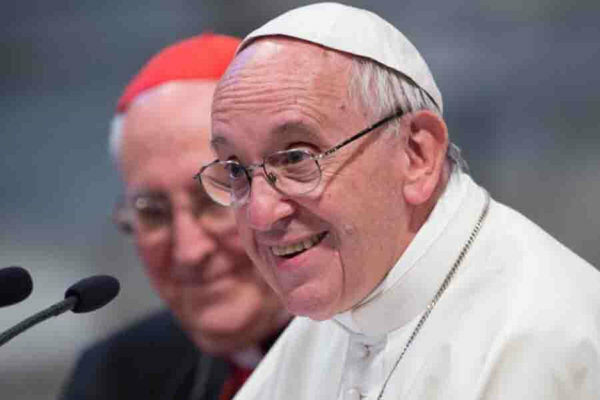 The pope said the first step in reaching out to young people in Rome is to “speak in the Roman dialect, that is, concretely” rather than in general or abstract terms that do not speak to teens’ problems. Families, the pope continued, also must confront the challenge of educating their children in an “uprooted society” where people are disconnecting from their roots and feel no sense of belonging. “An uprooted culture, an uprooted family is a family without a history and without memory,” he said. Although social networking has allowed more people to connect and feel part of a group, its virtual nature can also create a certain alienation where people “feel that they do not have roots, that they belong to no one,” the pope said. “If we want our children to be formed and prepared for tomorrow, it is not just by learning languages, for example, that they will succeed in doing so. They need to connect, to know their roots. Only then can they fly high,” he said. “It seems that everything is solved by medicating or controlling everything with the slogan ‘making the most of time’ and in the end, the young people’s schedules are worse than that of a high-level executive,” he said. Instead, schools, parishes and youth movements can take a pivotal role in helping young men and women want to feel challenged so they can achieve their goals. In this way, “they can discover that all the potential they have is a bridge, a passage toward a vocation (in the broadest and most beautiful sense of the word),” he said. “I think it is important to live the education of children starting from the perspective as a calling that the Lord has made to us as a family, to make this step a step of growth, to learn to enjoy the life that he has given us,” Pope Francis said.